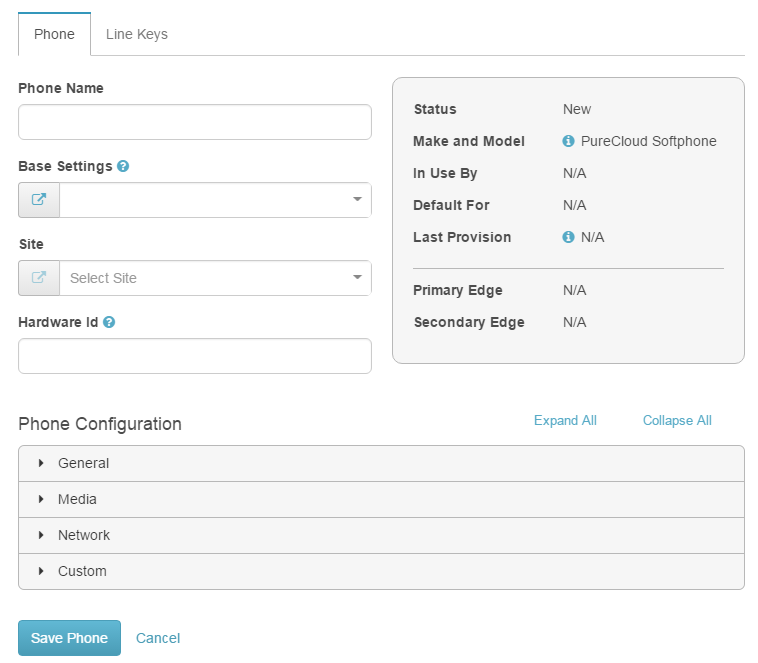 Once you have created an PureCloud softphone base settings profile you can create the phone profile. This profile contains a group of settings found on the Phone and Line Keys tabs that define the phone in PureCloud. The majority of the settings on the Phone and Line Keys tabs are inherited from the base settings. However, you can customize the phone by altering any of the settings that it inherited from the base settings configuration-without effecting the original base settings configuration. See Inherited settings. Type the PC’s fully qualified domain name (FQDN) in the Hardware Id field. See the system specifications “Full computer name:” for the FQDN. 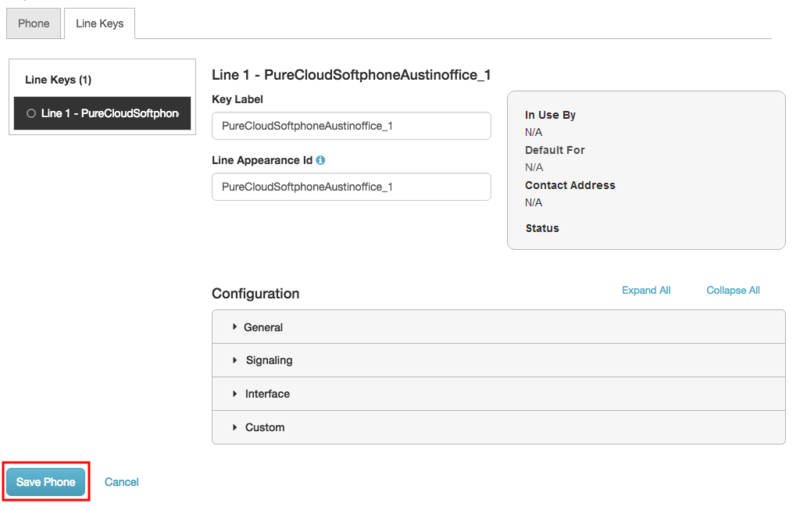 To use your custom line key settings and complete the PureCloud softphone configuration procedure, click Save Phone.